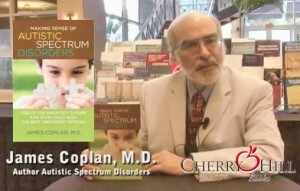 James Coplan, M.D., Neurodevelopmental Pediatrician, Author and Speaker » Blog Archive » Business Cards for children on the spectrum. An idea whose time has come! Business Cards for children on the spectrum. An idea whose time has come! Joe’s parents are doing everything to instill social skills in Joe. But I still worry about that one split second when Joe might get away from his parents, and a tragic chain reaction ensues: Joe inadvertently frightens someone; a mall security officer responds, Joe is unable to respond; the situation escalates. You can fill in the final details. I have read that in Japan, the exchange of business cards is universal. One has not been properly introduced without an exchange of cards. The card is an extension of one’s public image…. and not reserved for first responders. My point is this: Training a person with ASD to reach for their ID card in a crisis ain’t gonna work. In a crisis, we fall back on the familiar – whatever that happens to be. If it’s eloping, or melting down, or stimming, or whatever, that’s what the person with ASD is going to do. Not some unfamiliar behavior, such as pulling out a long-forgotten laminated ID card, located who-knows-where. What I’m proposing is a radical mind-shift: Train kids, teens or adults with ASD to “give the other person your business card” with every first encounter with an unfamiliar person. The clerk in the checkout line, the waiter in a restaurant, a new acquaintance on the playground – whoever. 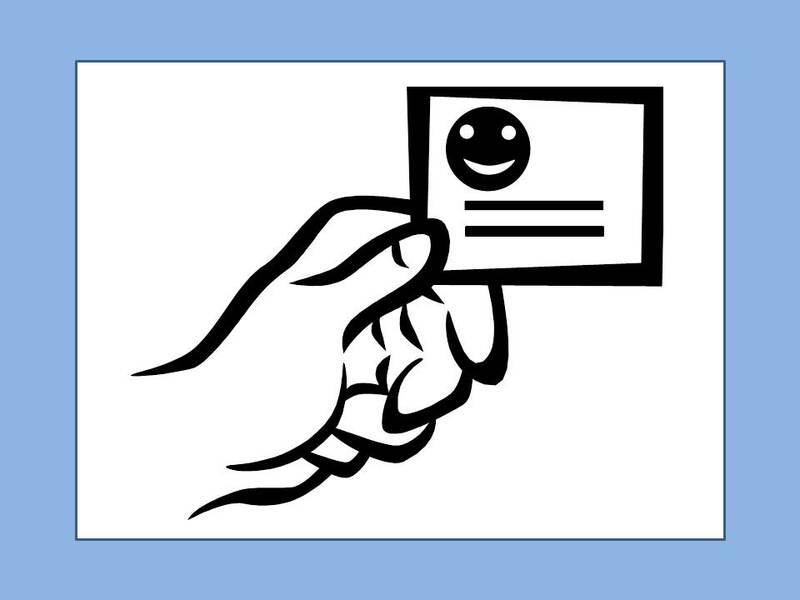 The point is to make handing out cards part of the person’s basic, day-to-day repertoire of behavior – not some emergency maneuver when caught in a bind of some sort. The downside to this, of course, is that your family member is self-identifying him/herself as being on the spectrum. (I did come across this comment on an AS chat group: “I don’t want an ID card. I don’t want to be identified as being autistic before being a person. It might work for some people but for me I’d find it dehumanising.” I think the writer’s premise is mistaken: I’m not talking about identifying someone as autistic “before being a person. ” Rather, I’m talking about recognizing the person’s autism as part of their personhood. Recognizing the other person’s autism means re-examining one’s own assumptions: “Is this person really being rude and hostile, or are they just being their normal [autistic] selves, and it’s up to me to re-frame my own perceptions?” The burden is on the non-autistic person! But they need a chance to think it through. The 5 seconds it takes to read a proffered card can function as a cooling-off period, as well as a teachable moment.) In my view, the benefits outweigh the disadvantages. This is where the content of the card comes into play: If the card is part of the person’s identity, not just something to hand over to first responders, then the card (a) should include the person’s picture, and (b) should express the person’s individuality in some way. Handing out cards should be fun, and should be a chance to say something unique about one’s self, not a self-stigmatizing exercise. Somewhere there is a borderland…. I’m not saying that every single adult with mild AS should be handing out cards to all comers. But I am suggesting that kids and teens with moderate atypicality, especially those who have limited verbal skills, become accustomed to handing out cards as part of their initial routine of greeting others, rather than as a last resort in emergency situations. I did a quick search on the internet for child-friendly cards, or anyone else advocating that children (and adolescents or adults) routinely hand out cards, and I came up empty-handed. There were several sites offering cards designed for first responders, and cards for parents that basically say “My child has autism; what’s your problem?” But I couldn’t find anything meant as a child-centric, child-friendly card for kids to use. Here are some of the links I found to cards and discussions of cards. Commonwealth countries (England, Ireland, Canada) seem to be miles (kilometers?) ahead of us Yanks in terms of recognizing the utility of cards for adults on the spectrum. My vote goes to the last link in this list, issued by the Calgary police department.